There is a marked correlation between the clothes that Bonaparte the general wore & those worn by Napoleon the emperor. Even when he was first consul he wore the laurel edged uniform of a general in the republic, much like the one he wore when he stormed the bridge at Arcole. The distinctive olive grey coat & cocked hat over the undress uniform of the chasseurs a cheval de la Garde Imperiale came about around the time of Austerlitz. That is to say before 1805 there was no Napoleon. Without Ulm & Austerlitz there could not have been a Napoleon. Without these events, Europe would have remembered a heroic revolutionary general who quietened the bloodlust of the revolution. A young soldier on a bridge with a flag, not an emperor on a horse with a hat. The title for Broer’s second volume comes from the pen of the German philosopher Hegel. Who saw the emperor pass by on his horse in 1806, the day before the battles of Jena & Auerschdat, and despite himself he found himself mesmerised by the sight of this tempest in human form. In his words Napoleon was not the underlying impetuous of the century, but the bestriding colossus, THE paramount spirit, which is from the Latin Genius, or creation of the age. And so we have our theme. The book itself is as well produced as the first with a decent selection of images, some maps of campaign theatres and an attractive and eye-catching cover. It’s heavy to hold, but no faux gilt so you can read it without fear of doing too much damage. In terms of style it is certainly readable, perhaps more so than his first volume. There is a grandeur to his retelling of Austerlitz, which is filled with immortal and superhuman references commensurate with a 19th century spectators view of war that gloried in the carnage. Napoleon is shown as confident and cautious, especially in politics, inexperienced in wider affairs but instinctive, and already showing himself faulty in terms of protecting himself in terms of foreign policy. The book begins confidently. Establishing napoleon’s brilliance and defending his policy making. Yet it doesn’t take long to crash into the issues which made Napoleon the emperor unsupportable to the rest of Europe. 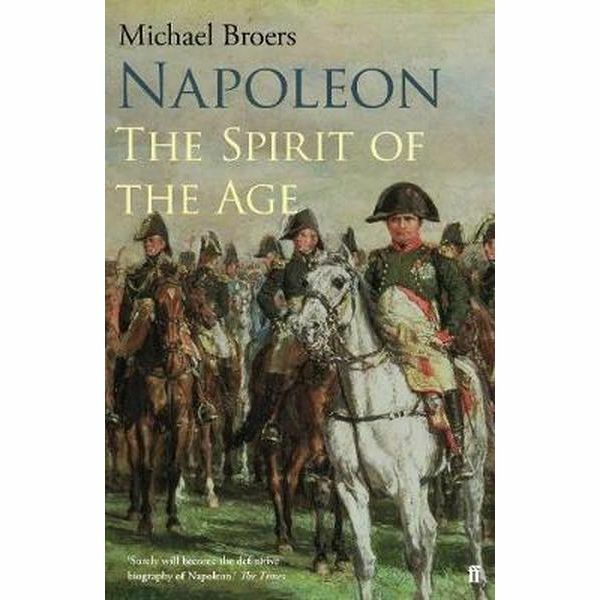 Broers shows that even if he won under trying circumstances the euphoria of a successful conquest bred in Napoleon a sapping hubris and whenever he felt secure he tended to lash out at the Bourbons. Such as in Savoy, in Naples & in Spain. Austerlitz allowed Napoleon to create around himself a cult of imperial and military excellence. Drawing upon the atheism of the revolution he replaced the church with himself in the eyes of the army. Public imagination was militarised. In addition to this, there was the issue of Italy. In the first page of Tolstoy’s War & Peace, Anna Pavlovna declares the infamy of Bonaparte making large chunks of Bourbon Italy mere parcels of the family estate. Tolstoy was not an objective critic of Napoleon but this sums up a great deal of why the emperor could no sooner vanquish an enemy only to end up facing it anew. Broers essentially agrees that Napoleon’s foolhardly reduction of the Neapolitan Bourbons and the foisting of his brother onto the throne highlights how he was too prone to use the power of France for his personal vendettas. Napoleon to the rest of Europe, which was both predominantly sovereign and religious, found practically everything about Napoleon the emperor worrying. Broers aptly calls Naples, ‘Spain on a smaller scale’. It is usually best that a biographer be pro the subject at hand. In the first volume, Broers trod a fairly even path. This is sustained in Spirit of the Age. He has neither an axe to grind nor does he appear to pay homage were it is not due. This book, even more than the first, is greatly concerned with military glory. Never quite spilling into hagiography, he does however find himself bowing the knee to the legend now and then. A fairly easy way to tell if someone would die for Napoleon is to ask them wether or not they would have had Marshal Bernadotte shot for his inaction at Jena-Aurschdat. Broers makes a good case for Bernadotte richly deserving a bullet, though he seems to wish the marshal’s blood as recompense for the dead of III Corps. In fairness Broers does seem to find his mild treatment of Bernadotte at odds with his usual attitude towards rivals. Earlier I alluded to Tolstoy and I think it is apt because the Tsar, who featured so prominently in the novel, is perhaps the next biggest player in the drama. Jean Paul Kauffman wrote that the empire received its first mortal blow at Eylau in 1807. This means of course that Russia was responsible for two of the death wounds that sent the Napoleonic legend to the grave. Napoleon, already on shaky ground after fighting the Prussians, is vividly shown as losing his grip against the Russians. Unsurprisingly, Broers comes to the conclusion that Napoleon’s most able opponent as a General was Archduke Charles of Austria. Interestingly, though he identifies the toughest army to fight Napoleon as that of the Russians. After praising the Russian soldier, Broers observes an interesting facet. If Napoleon’s invincibility was dented first by the Russians and from here his grip on power slipped it was re-solidified by exterior forces after Friedland. The emperor was an emperor in France and to those he defeated but he was kept afloat because of his success in battle. Yet after Tilsit Napoleon was able to master Europe without the aid of bayonets because of the Tsar’s auspices in supporting his power brokering. With a Russian alliance and recognition Napoleon was indeed master of Europe. The Tsar indeed being the only monarch to willingly and actively support him. So we find the emperor at the height of his powers but already showing the weaknesses that led to his downfall. The spirit of the age was a fragile & volatile one. In Poland the cracks in the painting started to shown, in Spain the very seams of the canvass frayed. This is a biography, nevertheless six of the largest and most important battles fought by the Grande Armee is covered and as Napoleon was firstly a soldier, the coverage of the campaigns must be observed. They are excitingly drawn and talk in gilded tones of glorious battle and grim sacrifice. They tell us what happened, though not not always why, thus bringing to mind what John Keegan wrote about writers who need to prioritise narrative. Broers text is also replete with notes, though again not everything is explained. He argues for instance that Moore chose to retreat to Corunna in order to keep Napoleon out of Portugal. Yet this cannot be the whole story as Moore’s army combined with Wellesley’s; concentrated behind Portugal’s mountains & fortresses would have made any further move against the country ill advised. Most importantly it is to be remembered that Napoleon always strove to separate his opponents. Broers claim that Moore made the most unselfish decision of the Napoleonic wars does not quite ring true with me. 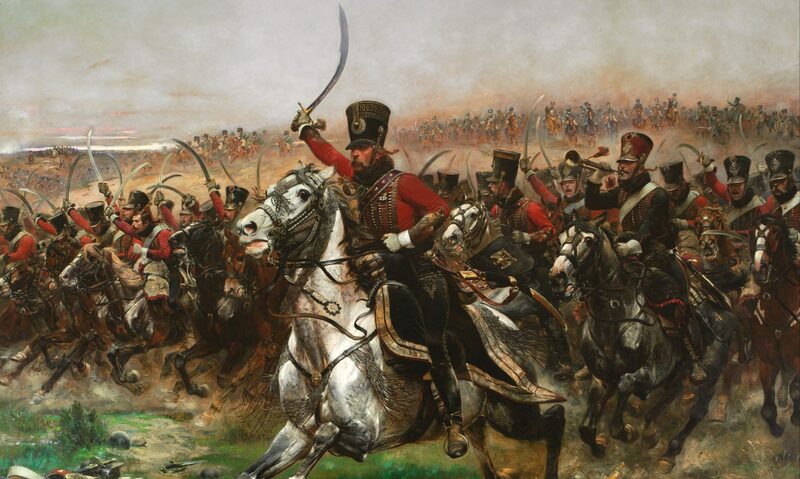 Nor that Napoleon physically saw the best and the worst of the British army. Indeed he saw very little of it. Indeed as, Broers himself observes Napoleon was dumbfounded by what he heard. Though the author states this was the first direct contact Napoleon had with the British he had come much closer to them at Toulon. Truly the emperor had little reason to worry about British soldiers or so he thought. The book ends a few years before 1812. I’d envisage at least two more volumes, which will probably keep the author occupied for another decade. Without an axe to grind nor a trumpet to play, Broers has written a truly even-handed and nuanced second volume. Perhaps it is still a little merciless to a newcomer but it is as gripping and thoughtful as it is interesting. The emperor, condemned by Beethoven and Bolivar as just another mortal, just another king has nonetheless reached the pinnacle of his greatness, and become the spirit of the age. My thanks go to Margaret Chrisawn of the Napoleon Series Forum for a lesson learned the hard way. Previous PostPrevious Book Review. Tenochtitlan 1519-1521 by Si Sheppard. Next PostNext Pirates were bad, Grow up!